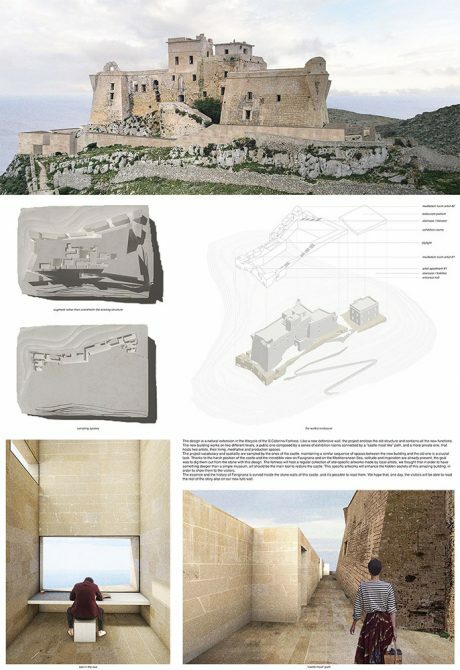 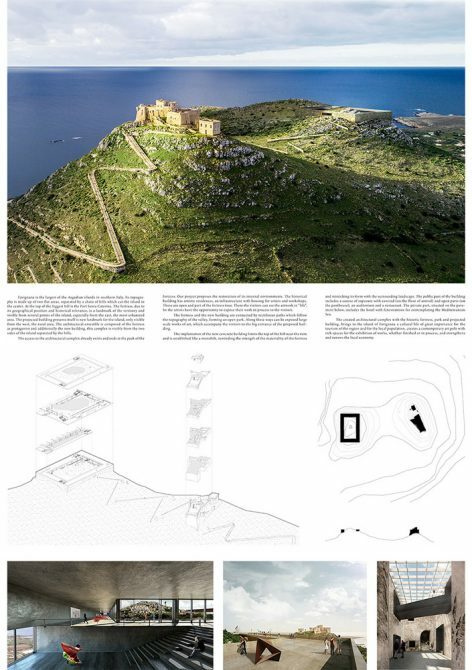 YAC – Young Architects Competitions and the Municipality of Favignana announce the winners of Art Prison, an ideas competition that was launched last January in cooperation with the Italian Government and aimed to the repurposing the breathtaking fortress of a scattered island in Southern Sicily. 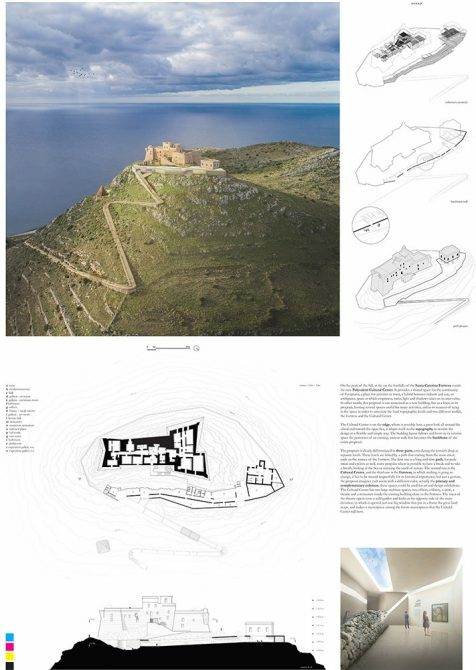 sincerely congratulate with all contestants for their several and their high-quality ideas” – says Giuseppe Pagoto, the mayor of Favignana and member of the internationally-renowned jury that assessed the projects submitted. 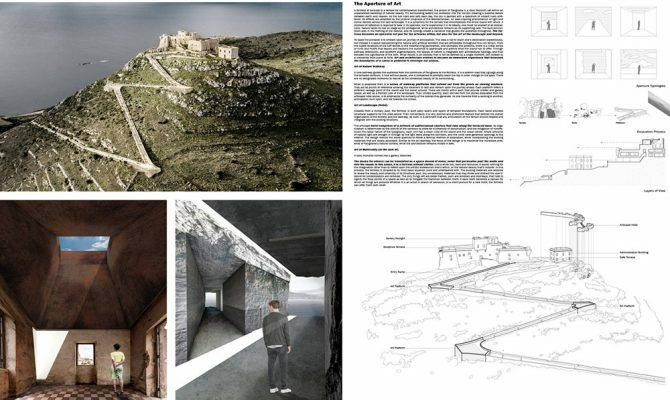 The jury committee featured also Daniel Libeskind, João Luís Carrilho da Graça, Manuel Aires Mateus, Felix Perasso (Snohetta), Emanuele Montibeller (Arte Sella). 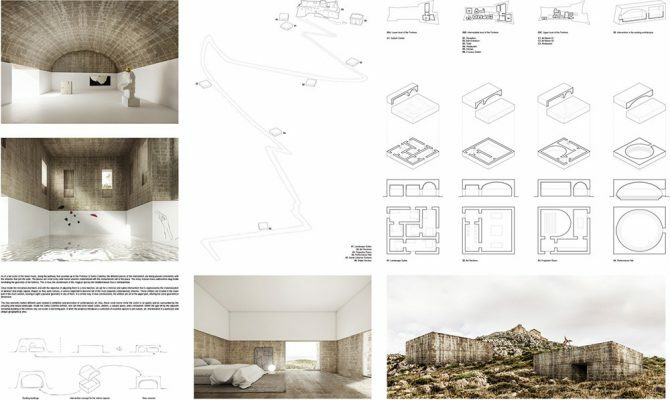 There was a total cash prize of € 20,000 to reward to the winner projects: the 1st prize of € 10,000 has been awarded to the Italian team “Simposio”, the 2nd prize of € 4,000 to the Brazilian team “in situ” and the 3rd prize of € 2,000 to team “MJHM” from the US. 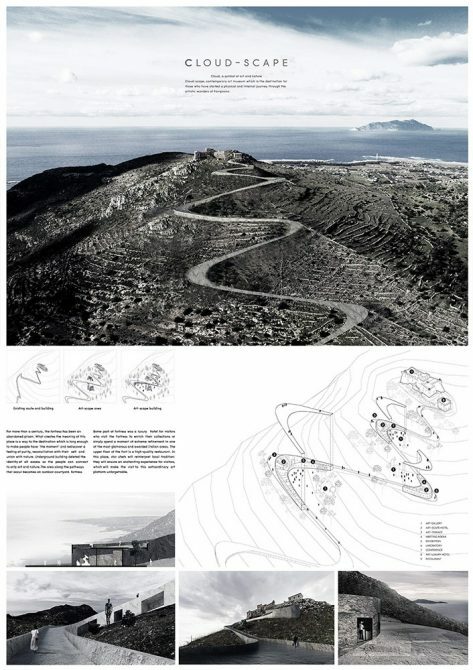 The 4 Gold Mentions of € 1,000 each have been assigned to teams “Llobregat Asatrián” (Spain), “MaMe” (Italy), “a3m” (Ireland) e “PT” (Thailandia). 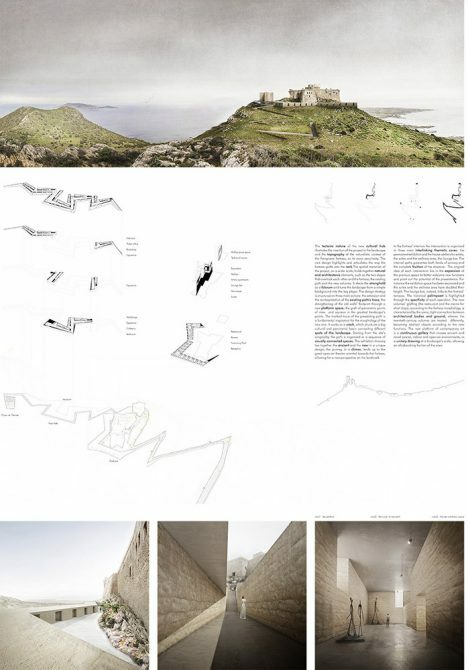 Additional 10 Honorable Mentions and 30 Finalist Mentions follow up as completion of this huge and international podium.